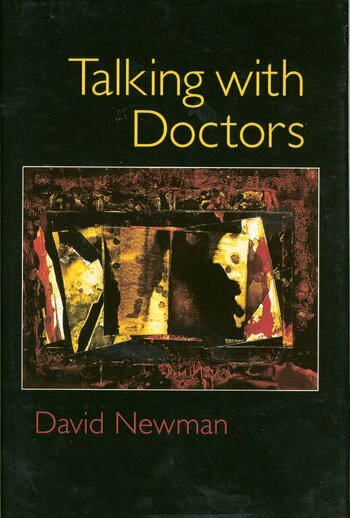 "Talking with Doctors is a compelling, absorbing, unsettling story that touches a collective raw nerve about the experience of doctors and medical care when life-threatening illness leads us to subspecialists at major medical centers....illuminates in a very personal way the problems of medical practice in the current climate of managed care, high-tech treatments, and scarce resources....a book for everyone to read and ponder." "...a 'buyer-beware' manual for patients who are embarking on a consultative tour of prestigious academic medical centers." " 'Talking With Doctors' a memoir of his struggle to understand exactly what was wrong with him and what to do about it. As the story unfolds, the reader is comforted in knowing that he must have made it through, because he lived to write about it. For page after page, the reader is aboard the hellish roller coaster of cancer treatment." "This book is beautifully written; it can be appreciated by a lay audience and perhaps even an undergraduate class or a beginning medical student class....concise, easy - to - read chapters....This book is a commentary on the current state of medicine as seen by a layperson. It is a welcome addition to the popular culture on doctor-patient communication."